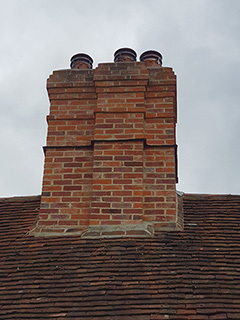 A P Benson Roofing & Building has provided high quality soffits and fascias, flat roof repairs, chimney repairs, and other roofing services to our customers in Farnham for over three decades. 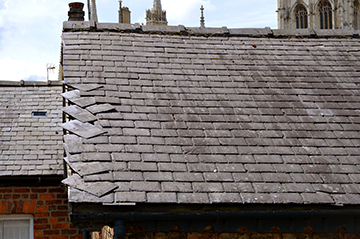 Much of our work in Farnham involves roof repairs. Whether we’re replacing missing slates and flashing, or repairing storm damage and leaking leads, our team of expert roofers are equal to the task. As one of the leading roofing companies in Surrey, A P Benson Roofing & Building can be relied upon to perform a professional job, from flat roof repairs, to full roof installations, and everything in between. Equally at home with flat roofs as with pitched roofs, our team of roofers can install a new flat roof to an extension or garage, or effect any kind of flat roof repair that you need. Whether it’s repointing brickwork or fixing storm damage, we can deal with whatever chimney repairs you might have. Forming an integral part of a building’s roofline, it is important that soffits and fascias are maintained properly to prevent avoidable damage. Whether installing new soffits and fascias, or repairing existing ones, we are the roofers you can trust. As well as pitched and flat roof repairs, soffits and fascias, and chimney repairs, we also install new roofs, replace or repair guttering, remove moss, replace and fit Velux roof windows, deal with lead work, lead flashing and building work including patio installations, brick wall repairs and building. 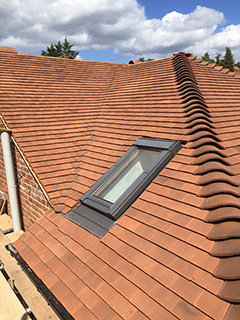 Based in nearby Guildford, our team of roofers work a 25 mile radius, which includes valued customers in Woking, Chobham, Godalming and, of course, Farnham. Since 1980, A P Benson Roofing & Building has delivered high-quality roof repairs to our customers in Farnham that other roofing companies simply cannot match. With over a hundred years of experience between them, our roofers bring expertise and professionalism to every job.